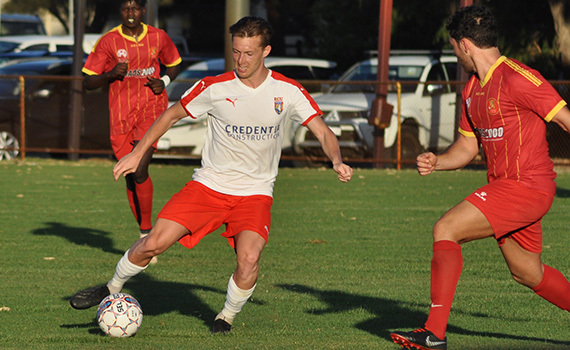 ECU Joondalup have won for the first time in the NPL Night Series after a stunning 6-1 win against Stirling Lions at Perth Plasterboard Centre Stadium on Saturday evening. 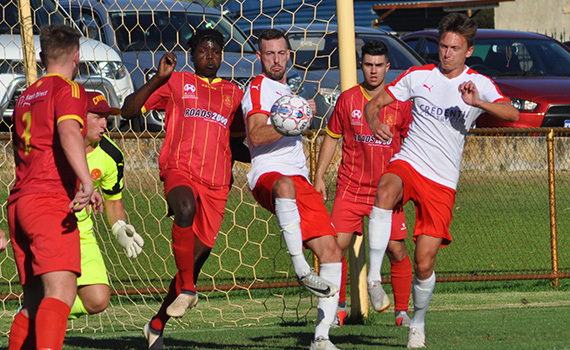 Czech striker Jakub Sklenar was the hero bagging his first goal for the club, and he went on to score four, with others to Joe Knowles, his third in the competition and Ronald Rixer. Click here to listen to post-match interviews with assistant Coach David Tough and striker Richard Howles. The Jacks were on top early and keeper Ryan Montgomery saved well to deny Howles, but on 11 minutes they hit the front. A ball into the box by Knowles was dropped by the keeper the ball under pressure from Rixer, and it fell to Sklenar who scored from close-range. It was 2-0 eight minutes later, Ollie Annis’ cross headed down by Luke Palmateer and Sklenar steered the ball home from close-range. They added a third moments later when Lukas De Lima was sent clear, he beat the keeper to the ball on the edge of the penalty area, laid the ball to Knowles whose cross was headed home by Sklenar to complete his hat-trick. It was one-way traffic and De Lima goal bound shot was deflected wide, before Rixer’s long-range shot flashed over the top. But on 37 minutes the Jacks added a fourth, Brad McDonald won a great tackle in the middle of the park and he sent Knowles in on goal, and the striker finished with aplomb to send the Jacks in with a comfortable 4-0 lead. It was 5-0 three minutes into the second half. Half time substitute Andy Higgins’ corner was headed home by Rixer at the back post. They added a sixth ten minutes later, Howles was sent clear down the right and he unselfishly crossed to Sklenar who scored. The Lions went close on the hour, Dhours Chol’s long-range shot was tipped over by the alert Johnny Perkins. Then on 75 minutes the Lions pulled one back. Good work down the left by former Brechin City midfielder Finn Graham saw him get to the by-line and pulled the ball back to Campbell who finished well past Perkins.